Are you daydreaming about getting a herd of beautiful bovines to graze your small farm? Keeping larger livestock like cattle requires preparation and planning but can be rewarding for lifestyle farmers. Before jumping into buying your first cow or three, there are some important things to consider. Is your property suitable for cattle? The first thing to consider before purchasing a single cow is whether your property is suited to keeping cattle. Do you have enough space for a start? A full-size cow requires nearly a hectare of space, while you can fit two or three miniature breed cows in the same area. You need a plentiful, clean water supply to keep any cattle. Adult cows can drink up to 75 litres a day, with pregnant and lactating cows having even greater requirements. Consider your ability to keep up with these requirements if you live in an arid part of the country. Water quality is just as important as quantity, as livestock may avoid drinking poor quality water which can affect their health and productivity. Make sure your supply is not contaminated with algae, heavy metals or chemicals. Cattles need a diet rich in fibre, and are best suited to grazing on pasture that is largely made up of grass. You may want to consider what sort of pasture you currently have on your farm, as some are better suited to grazing, such as ryegrass and prairie grass in temperate areas of Australia and species such as Rhodes grass and kikuyu in the northern part of the continent. Ideally, pastures housing cattle will contain a proportion of legumes such Lucerne or varieties of clover. It is important to get the legume balance right generally 70% grass and 30% legume is considered the right mix, and not less than 15% legume. Legumes are important in pastures because they convert nitrogen from the air into a form of nitrogen that grass can use, making the grass more vigorous and nutritious. Cattle diets can be supplemented with legume grains if you don't have the right pasture mix, in consultation with your vet. Too much of a good thing can also be an issue, with an over-abundant consumption of legume having the potential to cause a life-threatening condition known as bloat. Full grown cattle can weigh as much as a tonne each, so your fencing needs to be up to the job. Electric fences can be an effective way of keeping your cows enclosed without having to install heavy weight infrastructure - check out our article on fencing for more information to help you make your choice. Having some shelter available to cattle helps protect them during extremes of weather. Cows can suffer from both chill and heatwaves, and you should have enough shelter to accommodate all your livestock to prevent overcrowding. For cattle, shelter doesn't need to be sophisticated and shade shelters can be constructed of shade cloth and timber. Deciduous trees can also provide good shade and air movement in summer. Windbreaks and open sheds can provide protection in cool weather, with special attention needed for new calves in draught-free pens. If you already own livestock, you may have a Property Identification Code (PIC) for your property and understand the use of National Livestock Identification System (NLIS) devices. The system controls livestock movement around Australia to minimise disease and you must be registered to own cattle on your small farm. The systems subscribes a brand or earmark as an identifier for your property. Your cattle must be immediately marked with either an earmarked (two notches out of one ear) or brand (two letters and one number on the left shoulder) and have a National Livestock Identification System (NLIS) electronic device affixed. NLIS is a permanent, whole-of-life identification that enables animals to be tracked from property of birth to slaughter. Any cattle leaving your property must have an NLIS electronic device, even if they will be returning and their movement must be recorded in the NLIS database. 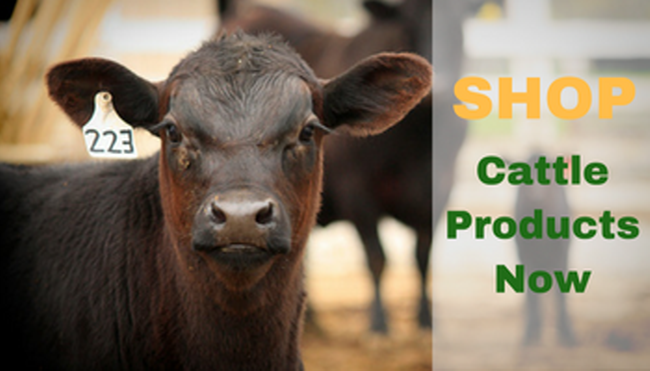 If you purchase cattle that are already branded or earmarked, you do not have to re-identify them but must have documents to show ownership. Will cattle fit your lifestyle? 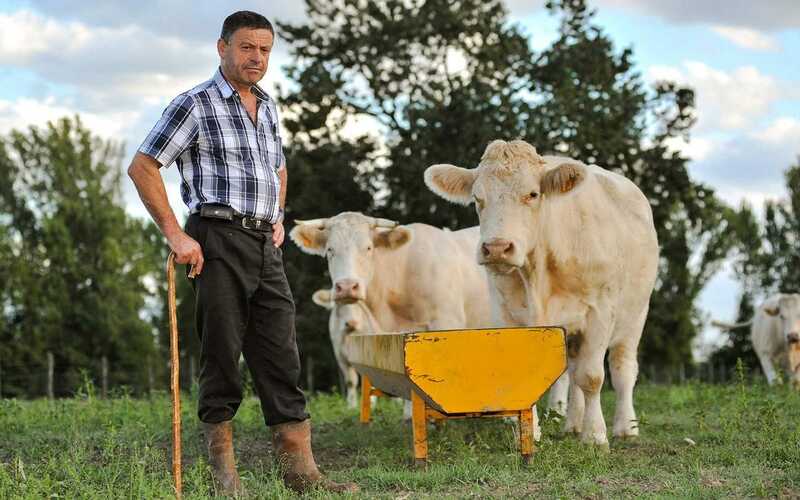 In general, as long as you have made the provisions above, cattle can be a good choice for small farmers, particularly beef cattle which don't require milking. They are fairly low maintenance and don't require a huge amount of care beyond a basic understanding of animal husbandry and access to a local vet. Dairy cows require a little more maintenance and will need to calve every year or two to maintain their milk supply. Cows can be fertilised with Artificial Insemination or you could keep a bull for a few years but you will need to be prepared for the additional safety risks and fencing impact of bulls! It goes without saying that you need to understand parasite and pest control and have an understanding of animal husbandry to practise responsible cattle ownership. One 'sticky' issue to consider before your buy your cows is the amount of manure cattle produce and how to manage this on a small farm. 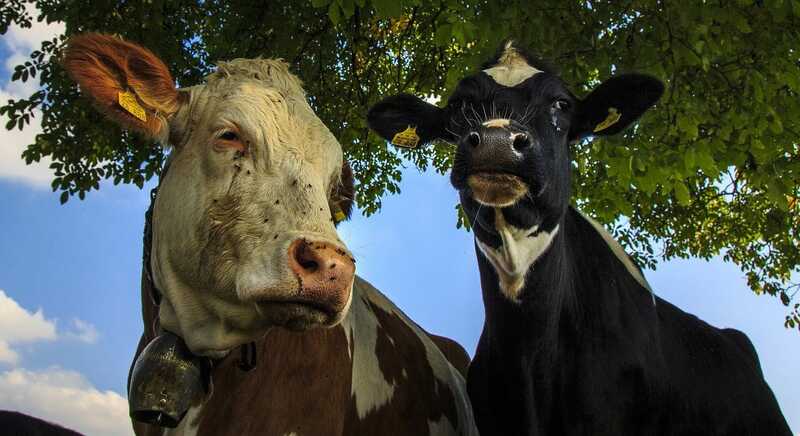 If you are in a peri-urban area, the smell of cow manure might annoy your neighbours although you might win them over with offers of free fertiliser for their gardens! If you have enough space to rotate your cattle through pastures, it can give manure a chance to break down and fertilise the soil for new pasture growth as well as help control parasites. What sort of cattle should you get? 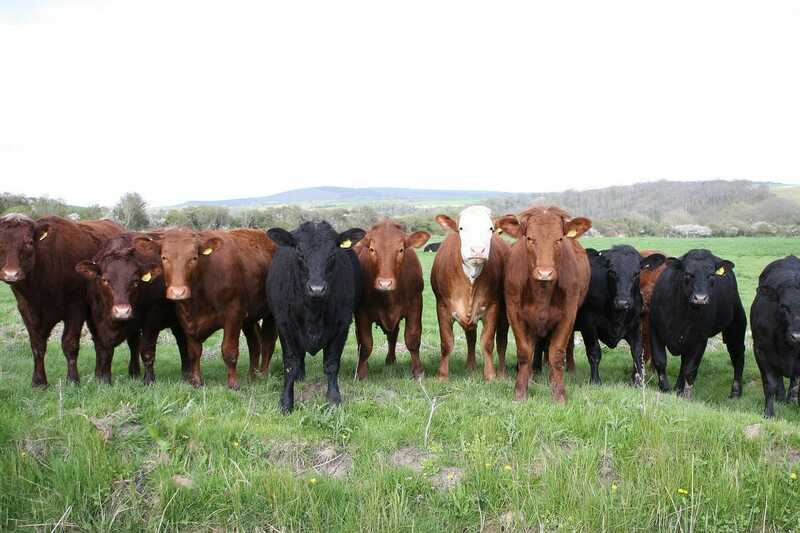 Your choice of breed can factor in what you want your cattle for (for example, meat production or dairy), which breeds are suited to your area, and size of the breed. Miniature cows are becoming a popular choice for hobby farms in the US, with the trend slowly catching on in Australia with breeds such as Dexter and miniature Hereford or Galloways being the perfect size for smaller landholdings. The choice about whether to venture into cattle ownership is a personal one for small farmers, and being armed with the facts is the best way to ensure a smooth experience.